Happy Monday! It was freezing in New Jersey this morning! I think I was being optimistic when I decided to leave half summer clothes and put half fall clothes in the girls' dressers...looks like I will be packing away all of the cute dresses and shorts outfits until spring! Even though I don't love the cold weather, I do love fall holidays, so I thought that it was time to put the girls in their first Halloween outfits of the season! 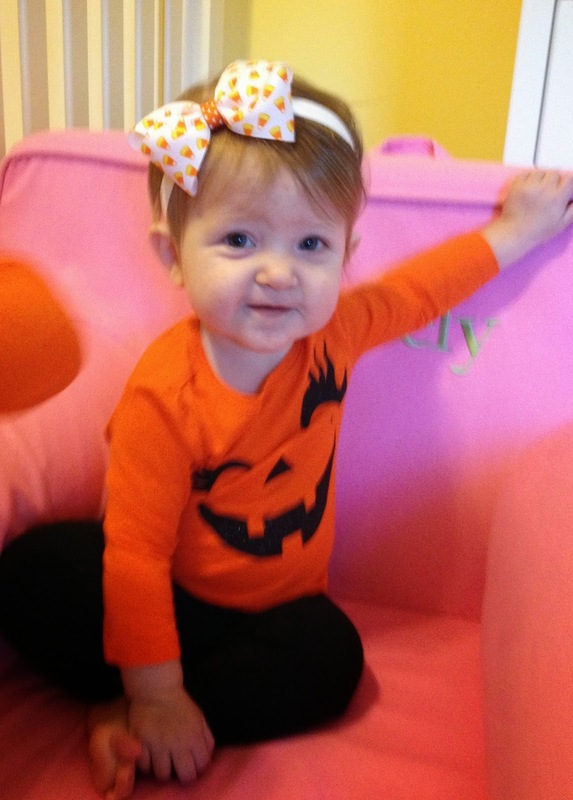 This will be Blakely's first Halloween! It is her only "first" holiday left before she turns 1!! 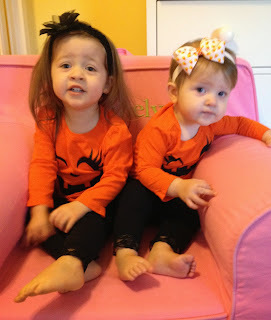 It is getting increasingly hard to get them to sit together long enough for a picture!!! We had a busy and fun weekend even though we were missing Daddy! John was away in Memphis, TN with his dad and his brother! So the girls had lots of quality time with Mommy, Nana and Pop-Pop (my parents), Aunt Laura, and Grandmom (John's mom). I am so blessed with a family who is always willing to come over and help out or just keep me and the girls company! What do I need help with you may ask? See Sweet Blakely in that picture up there? Yeah, she's not so sweet at bath time! Someone needs to hold her down while someone else washes her hair! I love her always in spite of that. 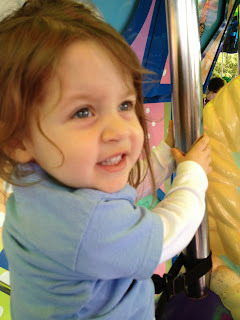 On Saturday, I took Lacie to Sesame Place for some one on one time with Mommy! She always has a blast riding the carousel! As soon as the carousel starts slowing down she is already saying "More" "Again" and her newest "Lacie's Turn" while she points to herself! The girls and I also went out for a bit of shopping! Imagine my surprise when I picked up this wrapped cookie in the check out line at the Barnes and Noble Cafe (mama needed a coffee) and the back of the cookie stated that it was "Nut Free." Needless to say, I had to buy one for Lacie! Little things like this make food allergy mamas so excited! 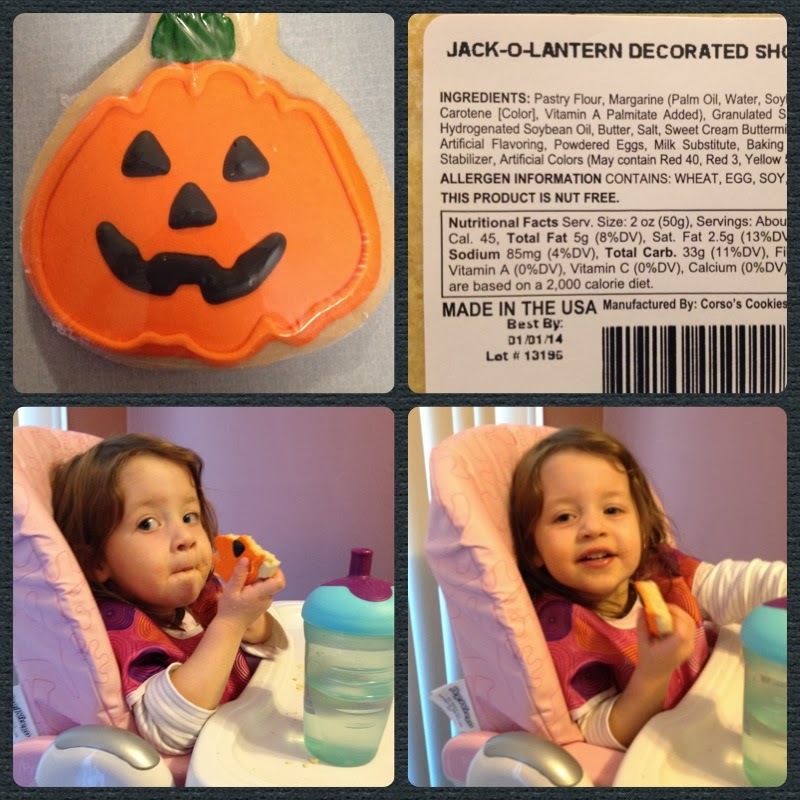 Lacie enjoyed every single bite! Way to go Barnes and Noble for being inclusive for people with peanut and tree nut allergies! I found this gem on an end-cap in Wegmans! 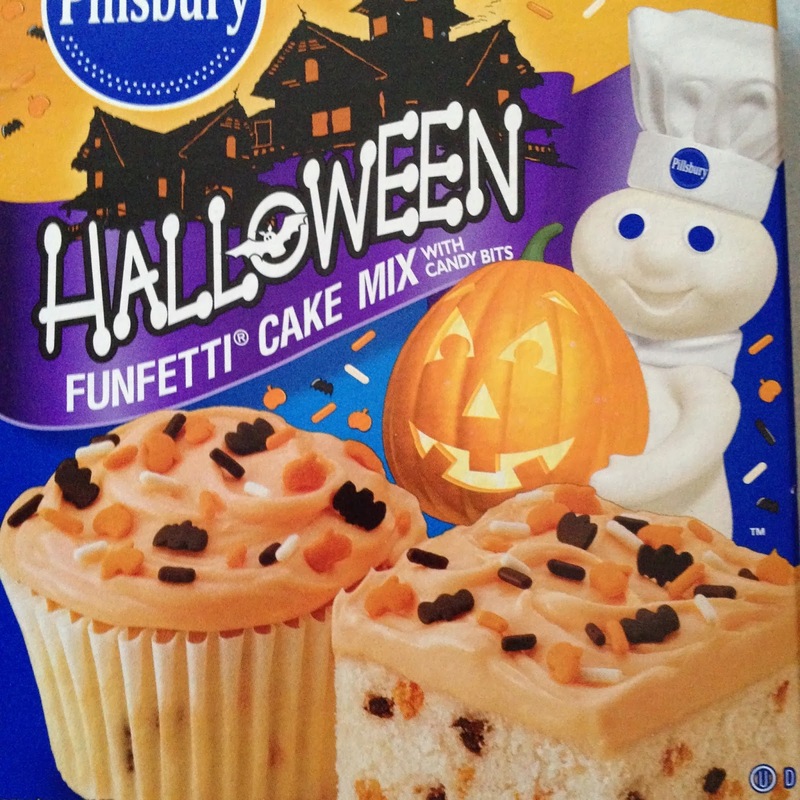 I love Funfetti, and I love it even more when it is holiday or seasonally themed! So I decided to mix up a batch of Lacie's Lazy Funfetti Cookie Bars to surprise John with when he got home (which he promptly ate 3 of along with a cup of coffee). 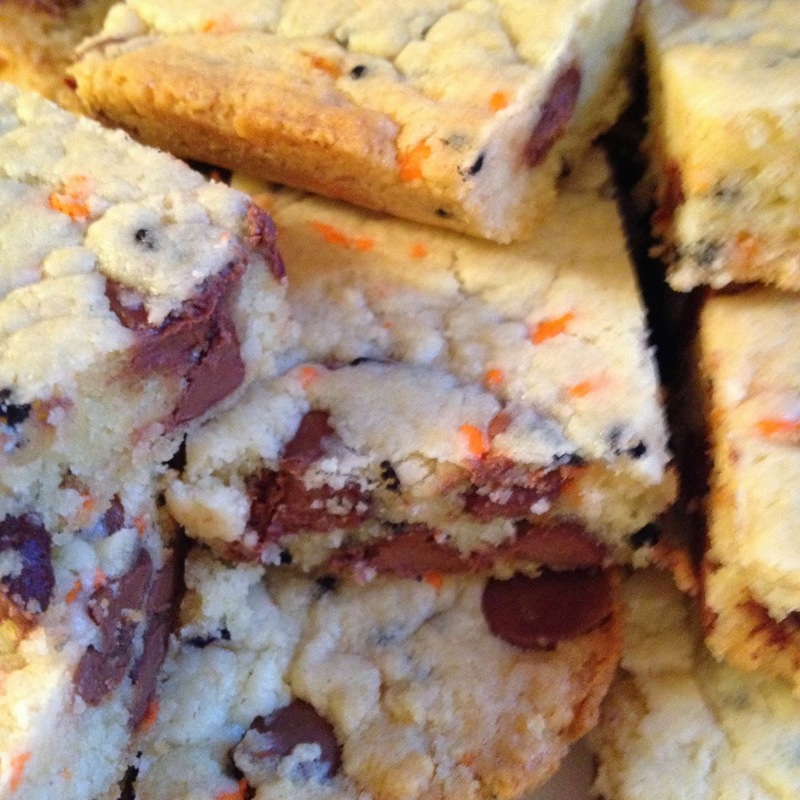 The only thing I changed was using regular milk chocolate chips instead of white chocolate chips! I felt the look of the chocolate went better with the Halloween theme! Tomorrow, I will be sharing an easy pumpkin muffin recipe! Have a Happy Happy Monday!